Domain extensions also referred to as Top Level Domains (TLDs) are suffixes or identifying texts at the end of a domain name and serve to describe the type of organization, company, country or any other category. They are the letters put after the dot to the right of a domain name. An example of a domain extension is the .com which is found in many URL addresses. The Internet Corporation institution for Assigned Names and Numbers (ICANN), which is the body in charge of domain names and IP addresses together with the Internet Assigned Numbers Authority (IANA), the institution in charge of allotting the operators of TLDs are the charged with introducing new top-level domains. They are the most common domains familiar to most people. Previously, there were only a few options available gTLDs such as .com, .org, and .net. However, hundreds of more industry based gTLDs have been introduced in the recent past thus giving you more options to choose from. They are similar to generic top-level domains but are more restricted and can only be registered by specific people who can meet certain eligibility requirements. Examples of generic-restricted TLDs include .biz, .name and .pro. They are specialized TLDs available only for specific groups. They are part of the gTLDs but are intended for specialized audiences. There are restrictions on who can register an sTLD and the kind of website they can be used for. Examples of sTLDs include .aero, .edu, .gov and .travel. Every country has a set of code domain extensions used. Extensions such as .ke, .co.ke, .org.ke and .net.ke are examples of Kenyan ccTLDs. Factors to consider when acquiring a domain name. Mostly, the domain name should imply that you are one the leading players in the market. The .com extension was created in 1985 just immediately after the internet hit the mainstream thus making it the most common TLD. .com means commercial because it was created for commercial purposes and intends to convey the nature of the content being published. While other top-level domains are used for more specific purposes, like .EDU for education institutions, .com is used for general content. Being one of the first and popular domain extensions, .com was and still is synonymous with the internet. It’s the best for profit-making businesses because it is more authoritative, more popular and memorable than any other option. .com has the highest recall of all domain extensions because almost everyone familiar with the web relates to .com thus making it look more credible to many people. Due to this, it’s easier to build a robust online presence. Many browsers check for the .com extension by default. Visitors to your website will, therefore, reach it without returning an error message even if they did not include the .com extension on the address. Most people assume websites end with .com thus are more likely to remember or try out a .com extension than other domain extensions. This advantage helps business in branding and marketing and thus increasing their ranking. Although most people don’t buy a domain name for resale, a .com extension could fetch a considerably higher price than any other. Come up with a great website name in the .com category that best represents your brand could be difficult because that name has most likely been taken. 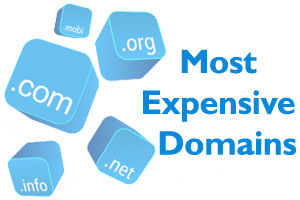 You are therefore bound to pay more to get a specific domain name that ends in .com. Since the .com domain extension is primarily used for commercial purposes, it cannot be used for any website since the brand won’t fit the domain name. It is, therefore, better to use specific TLD to target specific markets. 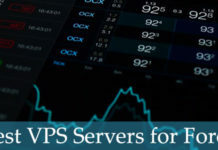 A .net extension which means network was also created almost at the same time as .com and was primarily intended for business purposes in organizations dealing in networking technologies, such as Internet service providers and other infrastructure companies. Since most people especially consumers preferred .com while multinational companies adopted the .net domain extension, it was not as successful as .com extension thus was numbered as the second most preferred domain extension. Although most people assume that a site using .com ranks better than a .net site, .net websites rank just as quickly and easily as .com. This is because search engines such as Google focus more on the relevance of the domain name rather than the domain extension. While it may take more time building an online presence with a .net domain extension, domain names that represent brands perform well online. .net domain extension that fit your brand yields better results for business oriented websites. .net domain extensions are not as widely used as .com, they are much cheaper and are easier to secure a specific domain name that you like. Because users are more familiar with .com domain extension as compared to .net, this can affect your business. Users searching for your website can mistakenly type .com instead of .net. .net domain extension is not usually the best for small business sites because such sites take more time to yield results. While the .com and .net domain extensions are valuable, .com domains are running out of availability hence promoting the growth of .net and other extensions.